And the number one most wishlisted item in my store? 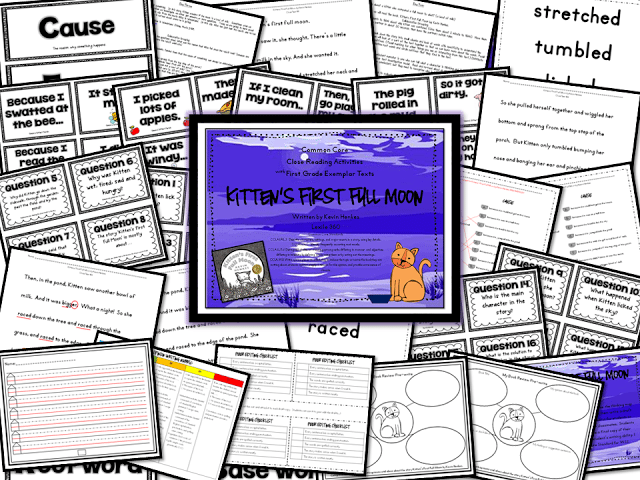 Another close reading unit…Kitten’s First Full Moon! 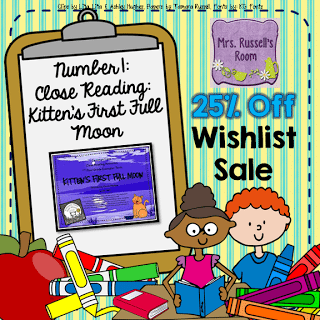 This was my very first set of close reading lessons! If you’re teaching to the Common Core Standards in your state, you might find this pack helpful as you begin to navigate the new expectations. This pack contains resources to teach cause and effect, roots and suffixes and writing a book review. There are student friendly tools for editing, and a grading rubric for the finished writing product. The students will mark the text for specific things. There are also explicit directions on how to work with them on collaborating. I would suggest that this be taught later in the year, since the students will be actively engaging with the text for this set of lessons. Previous Post: « End of Summer Fun!